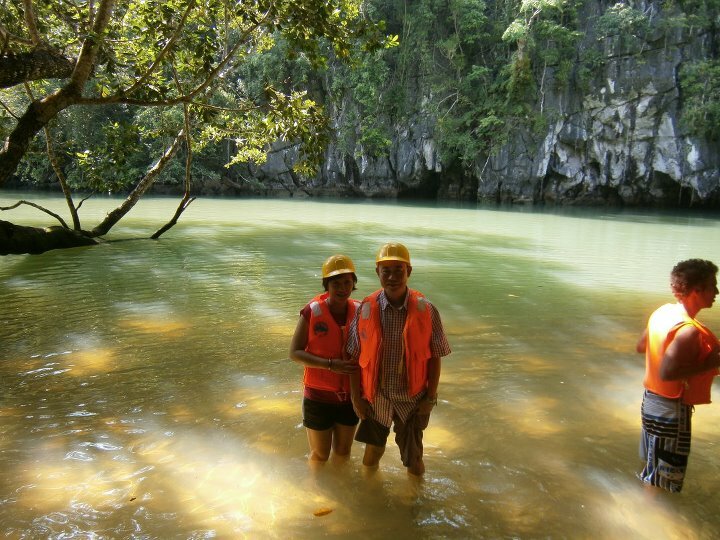 My sister and her husband explored the Underground River during their holiday in Palawan, Philippines last year. They took a boat tour to the place with a bunch of other tourists. 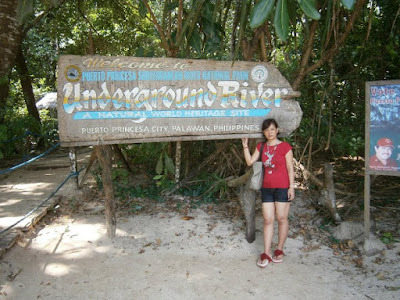 The Underground River is located only 50 kilometers north of the island capital Puerto Princesa which has an airport with daily flight from Manila & Cebu International Airports. For years the Underground River was accessible to only dedicated adventures who were prepared to travel for hours in four-wheel drives along dirt and then stay in primitive accommodation. The great news is new roads have been made enabling visitors to travel in comfort and safety to Sabang in half the time, but it just got even better with the opening this year of the new Sheridan Beach Resort right in the heart of Sabang. weeee I can't wait to see the place too!!! Blue is scheduled to go there this April, let's go too twinzy!!! It is so fun in the Philippines! I plan to go here this December, Che. I still have not finalized our itinerary coz of hectic sched, but i plan to tour Khai in Palawan and Bohol. Thanks for sharing info, it will be easier to travel plan with info such as this. Sana kita-kits tayu dun ni Zen. Oh, I would love to see this! Terrific captures, Cher, and the are the next best thing to being there! Beautiful place! Hope your week is going well! There are so many fascinating places on this lovely earth! Thank you for this post--without blogger friends like you, Cher, many of us would never have heard of this river. I was reminded of a wonderful guided tube ride we took on a rain forest river in Belize, in Central America, that winds in and out of limestone caves and long limestone tunnels on its journey. 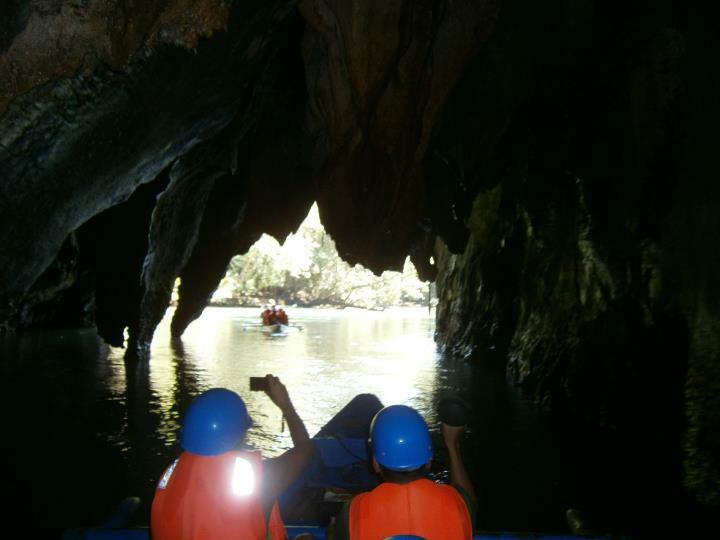 I would love to see this place, it looks fun to be floating on the underground river. Wonderful photo. Thanks for sharing. i wish to visit Palawan one day. thank u for your photos. from TT, heres my travel. beautiful cave Sis, looks like fun to have that adventure :-) Visiting from Tuesday Travels, hope that you can return the visit too. Awesome adventure that was! This place is one of my must-visit in the soon future! Thanks for joining last week's TT. Hope you can join again for this week. Linky is now up; I always enjoy your share!